It’s easy to get emptied when you overfill. When the days have too much, and the nights are too active, and the moments that you should save for peace, for quiet, for prayer and reflection and time with the Father just slip right away, never fulfilled, never seen again. And you look back at a week’s worth of busy and wonder, how did I get here? And you look forward at a new week’s worth of busy and ask, is there a way to do this differently? And sometimes, being able to fill your heart and your love tank–and your love’s tank–means saying no. Sometimes it means stepping back, resting, waiting. Sometimes it means taking time for the really and truly important things: for quiet, peace, prayer. For long walks with your husband and those wild dogs of yours, for journaling and enjoying the days and hours and minutes God’s given us before they all run into months and years and we can’t remember. And sometimes it seems like you’re being selfish when you do this. And don’t we all struggle with that? And how do we establish boundaries that are worth establishing? 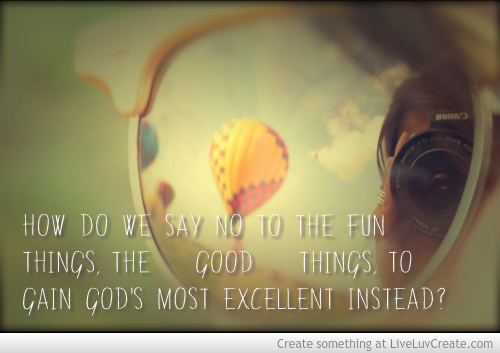 And how do we say no to the fun things, the “good” things, to gain God’s most excellent instead? We can fill up. And we can pour out. But it’s hard to pour out when we don’t fill up first. And so I’m learning. Sometimes, we just have to stop. And when it’s nigh impossible to figure out how to stop in an ever-spinning world, I don’t know what to do. Except to pray. To say no. To wait on the Lord. And to know that His ways are not our ways, but they are better. Even when better is hard to understand and even harder to define. 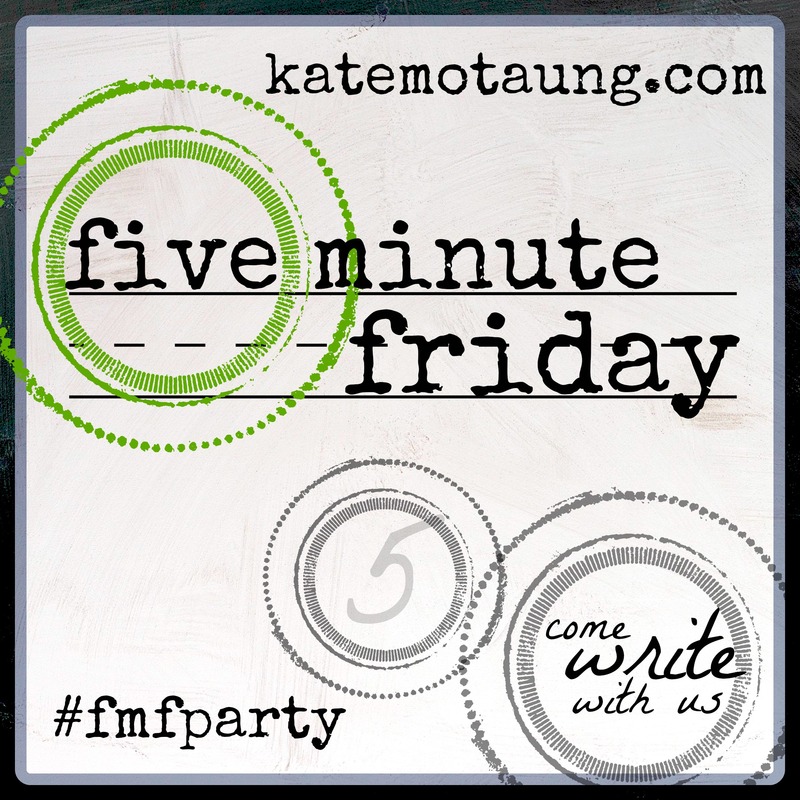 Categories: Five Minute Friday | Tags: fill, fill up, God's Most Excellent, overfill, pour out, prayer, rest, saying no, taking time | Permalink. Blessings, Tori – visiting from FMF and taking joy in your desire to STOP! It is a sacrifice, sometimes. I made a decision to do so about a year ago. God refocuses – and priorities change. But the rush about still beckons. Hold fast to the slow – be ye filled. You have a new life into whom you will be pouring and you’ll need all the filling you can get! OH, I needed this one today. I really don’t say no all that well. There is so much guilt in the sound of that one little word. Thank you so much for your blessing today. Glad my post spoke to you. Blessings! Stopping by from the Five Minute Friday. It is so important that we stop and rest, and allow God to fill us up. Blessings for a beautiful weekend. Thanks for commenting. I hope you also have a lovely weekend!